Summers can be hot but that doesn’t mean your soups have to be! When it’s too warm and uncomfortable outside the last thing you want to do is turn on the stove for dinner, or for any meal for that matter. There are many alternative recipes that are great substitutes to keep you cool and satisfied this season. 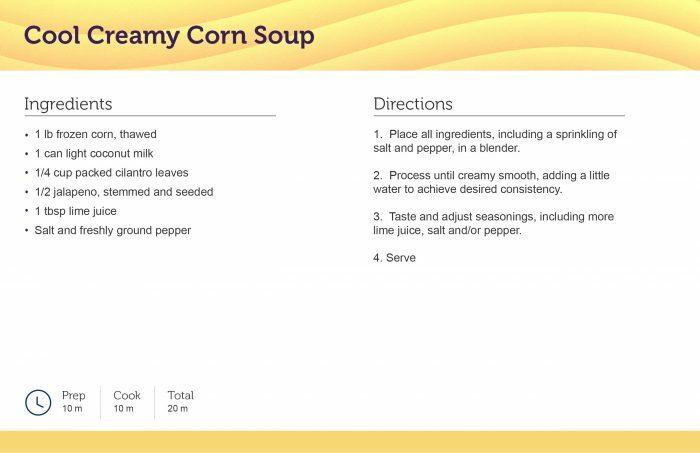 Check out these three printable cold soup recipes below. In a heavy bottom 4 quart pot, heat olive oil over medium heat. Sauté leeks 5-7 minutes until tender; add garlic and continue sautéing for an additional 2 minutes. Add cucumbers and chicken stock; simmer until cucumbers are softened about 6-8 minutes. 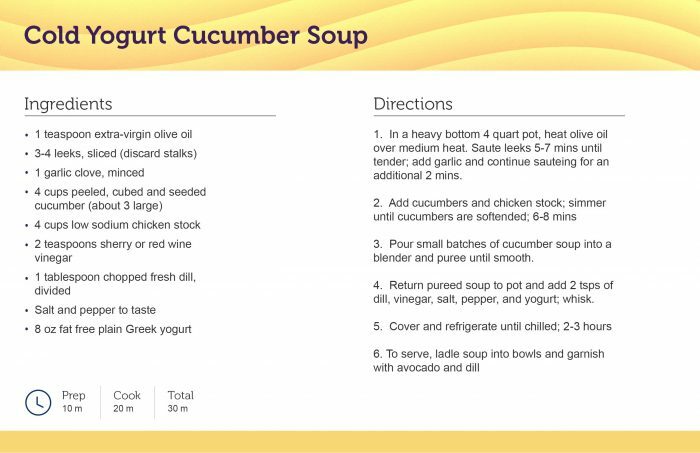 Return pureed soup to pot and add 2 teaspoons of dill, vinegar, salt, pepper, and yogurt; whisk to thoroughly blend. To serve, ladle soup into bowls and garnish with avocado and dill. 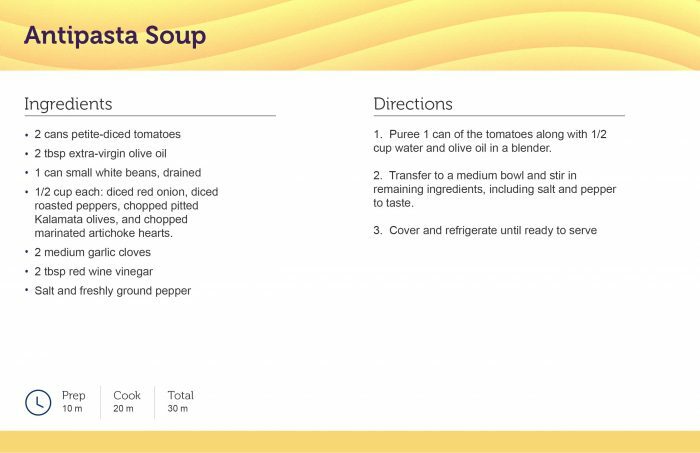 Puree 1 can of the tomatoes along with 1/2 cup water and olive oil in a blender. Transfer to a medium bowl and stir in remaining ingredients, including salt and pepper to taste. Place all ingredients, including a sprinkling of salt and pepper, in a blender. Process until creamy smooth, adding a little water to achieve desired consistency. Taste and adjust seasonings, including more lime juice, salt and/or pepper. Make this summer cool and refreshing with these summer soup recipes! These cold soups are a great alternative for those who want to escape the heat. Fresh, healthy and delicious, what more could you ask for?